I know this has been covered before... but the .bdae files turned out to have different file versions and not being opened via the script. In details: I tried to open Gangstar: West Coast Hutsle's models... and got an error. Turned out the reason for it was another version of the .bdae file format. Can anyone tell me where I am messing up. I have been able to get a very jagged random mesh out of this. and the pattern will reveal the start and end addresses more clear. I'm using Hex2obj 0.22 because its the most recent version that I could find. I noticed the my interface shows the VB size rather than the FvF and my UVB start size is greyed out, but I am still able to replicate this using your values. Which method are you using to calculate the FvF size? bytes and test for a found pattern by trying to line them up vertically. Thanks. This method helped me out a lot. Some files are much easier than others. A few of the Backstab models that i converted turned out to be squished on the x axis. On a similar note, I've been fiddling around with .bdae files from Spider-Man Unlimited in Hex2Obj, but to no avail. 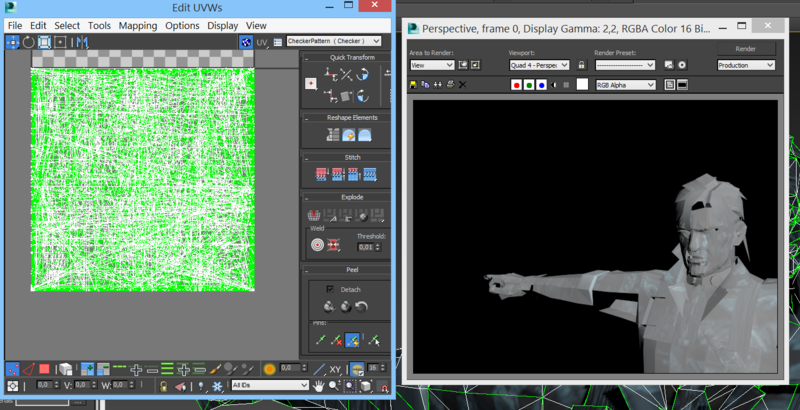 All I've gathered so far is the start of the face indices, and that the file has multiple sub-meshes. If anyone would be willing to help me out, I'd greatly appreciate it. 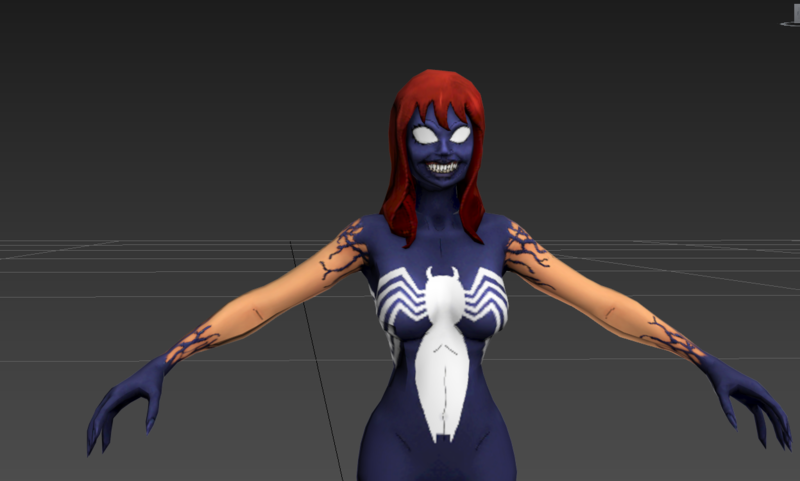 The zip file includes the character model I was trying to work on (Mesh_Spiderman.bdae), as a couple extra ones for comparison. Wow! Thanks so much for the quick reply! Looks like I had the start for the face indices and the vertex data right, but nothing else. This will be a huge help, thank you! Last edited by Acewell on Wed Apr 05, 2017 7:49 am, edited 1 time in total. Say, I saw from another thread that you've taken a look at the Gameloft .TGA files. Have you had any luck converting them? Most of the textures in Spider-Man Unlimited (aside from normal maps) are these special .TGA formats that actually contain many different .PVR files. I haven't been able to figure out any way to convert them, as PVRTexTool refuses to open them. the rgb and alpha channels are separated but you should be able re-combine them in Photoshop. the SpidermanArmored_S.tga sample is not split and you should be able to just convert that with PVRTexTool. I noticed that as well, and when I tool a look at certain .bdae files (Mesh_Spiderman_NewDesign.bdae for example) it appears that they are actually .dat archives renamed to .bdae. Extract those .bdae files using the zip2.bms script for quickbms, and then you'll get a couple files, one of them being something along the lines of "little_endian_not_quantized.bdae". Unfortunately even after extracting these .bdae files they still can't be opened with the Noesis script, but you can now properly import them into Hex2Obj with some work. mentioned so they can be read by the script or else the offsets are thrown off track. for the ones that still don't open you can use Hex2obj to easily get them for the time being.